This is the second part of a series that will teach you how to consume/use/call a Web Service from within your SAP system and use the data received to perform and action within your ABAP code. If you want to call a REST Web Service from your SAP system you should first test SAP HTTP Connection to make sure your SAP system has access to the outside world and the particular Web service you want to call. 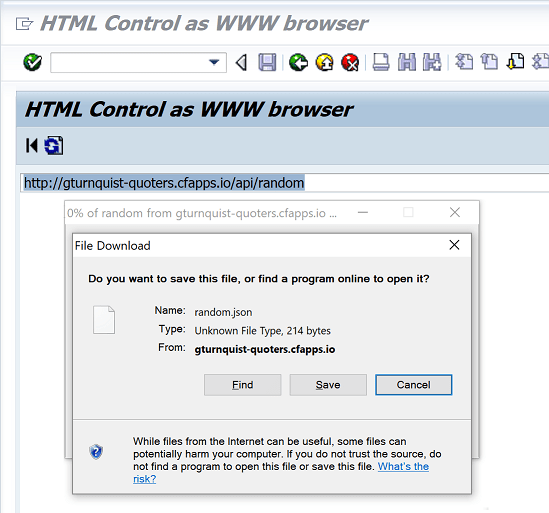 Again using the REST web service http://gturnquist-quoters.cfapps.io/api/random, which I found on https://spring.io/guides/gs/consuming-rest/ so have a look on here if it has stopped working for some reason. There are actually some very basic and easy to use ABAP programs that will help you do this. They have been around for a long time but you may not have come across them before if you haven't had to deal with HTTP connections. I suspect there are many people just finding out about these while learning about web service calls. 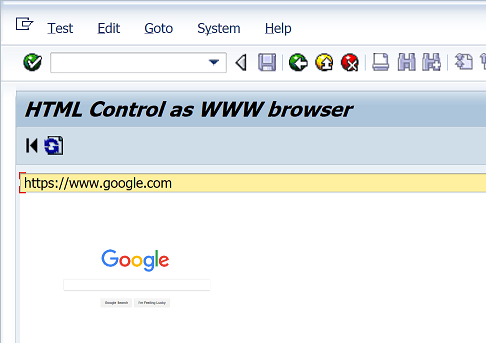 This is basically a simple ABAP based web browser, think chrome, IE but within the SAP GUI. This simply allows you to view a web page so by Inserting your Web Service URL (or any URL) you can confirm that your SAP system has access to the internet. You may already know it has access but this is a good way to prove it if you are trying to pinpoint a communication issue. I have been asked before does your SAP system have access to the internet to which my reply has been yes of course it has...but how do I demonstrate that quickly??? To use this ABAP report simply execute transaction code SE38, enter program name SAPHTML_DEMO1 and hit execute. This example Rest service will try and download the response into a file. 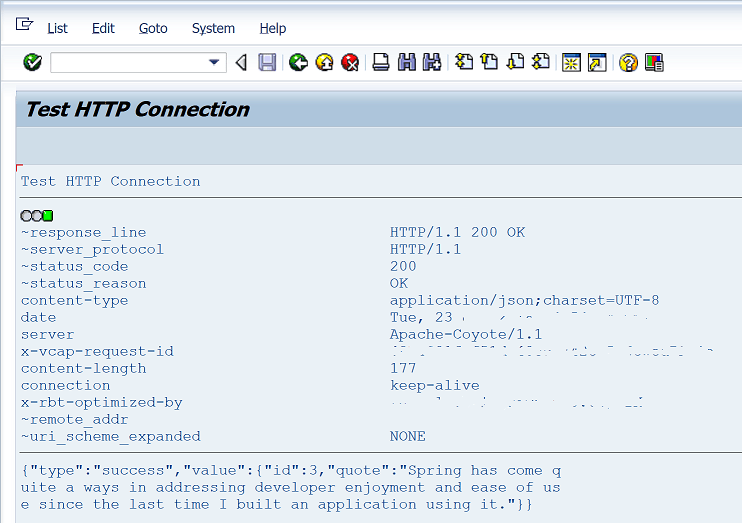 The RSWF_TEST_HTTP ABAP report allows you to test the HTTP connection to your Web Service to ensure it is communicating ok. To do this again go to t-code SE38 and enter the report name as RSWF_TEST_HTTP and hit execute. Now enter the URL of your Web Service i.e. http://gturnquist-quoters.cfapps.io/api/random.